Say hello to the GS Mini Bass guitar, a fun-to-play four-string addition to Taylor’s popular GS Mini family. 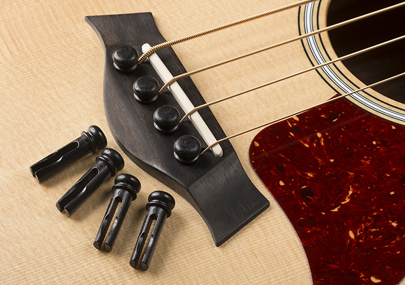 Breakthrough designs have enabled us to create a compact, lightweight and portable acoustic bass that’s super easy to play and hard to put down. A new maple version adds another sonic flavor with distinct visual appeal, another excellent option for those looking for a practice instrument or an easy-to-record acoustic bass. Whether you’re a bass player craving a couch-friendly acoustic option or a guitar player who’d love to have an acoustic bass on hand for writing, recording demos, or jamming with friends, you’ll love playing the GS Mini Bass. Taylor’s Andy Powers explains what makes the GS Mini Bass so unique and why it’s so much fun to play. Two game-changing designs brought the GS Mini Bass to life. 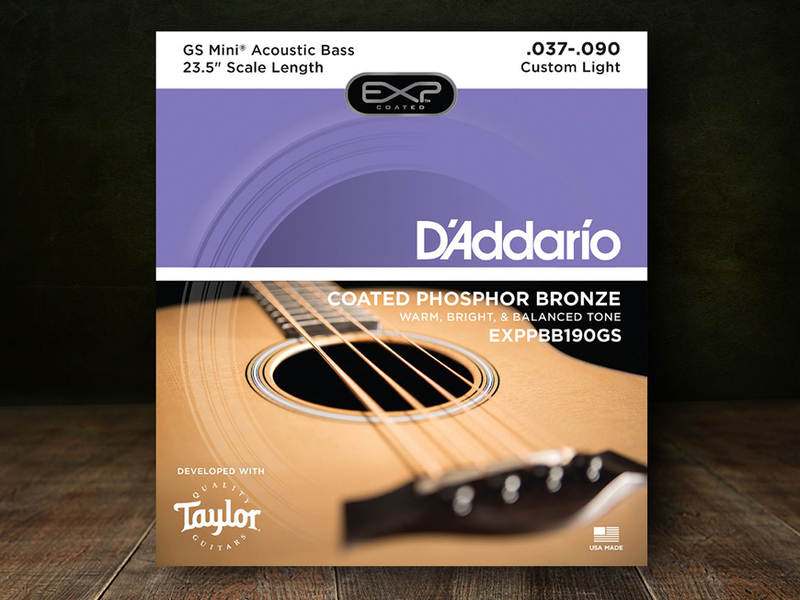 Taylor worked with D’Addario to develop a set of custom strings exclusively for the GS Mini Bass. They feature a nylon core overwound with a coated phosphor bronze wrap wire. The result is a slinky feel and the ability to produce warm, clear bass notes. Because of the bass’s much shorter scale length, these are the only strings that will work with it. Our patented new dual-prong bridge pin design enables the ball end of each string to be anchored on the opposite side of the bridge pin by passing between each pin’s two prongs. This allows a more secure anchoring of the strings. It also enables a more gradual string bend over the saddle, which optimizes the overall performance and sound. The compact body and 23-1/2-inch scale length make it super inviting to play. Curl up with it on the couch or take it on your next adventure. With its lightweight hard bag and adjustable backpack straps, it’s ready for anything. Between its shorter scale length and light string tension, the GS Mini Bass is so comfortable to play that even with the bigger strings, kids, beginners and guitarists who don’t normally play bass can play with ease. Despite its small size, you’ll love the tonal depth of the bass notes. And with Taylor’s onboard ES-B pickup and preamp, featuring tone and volume controls and a built-in tuner, the amplified bass tone is warm and clear.